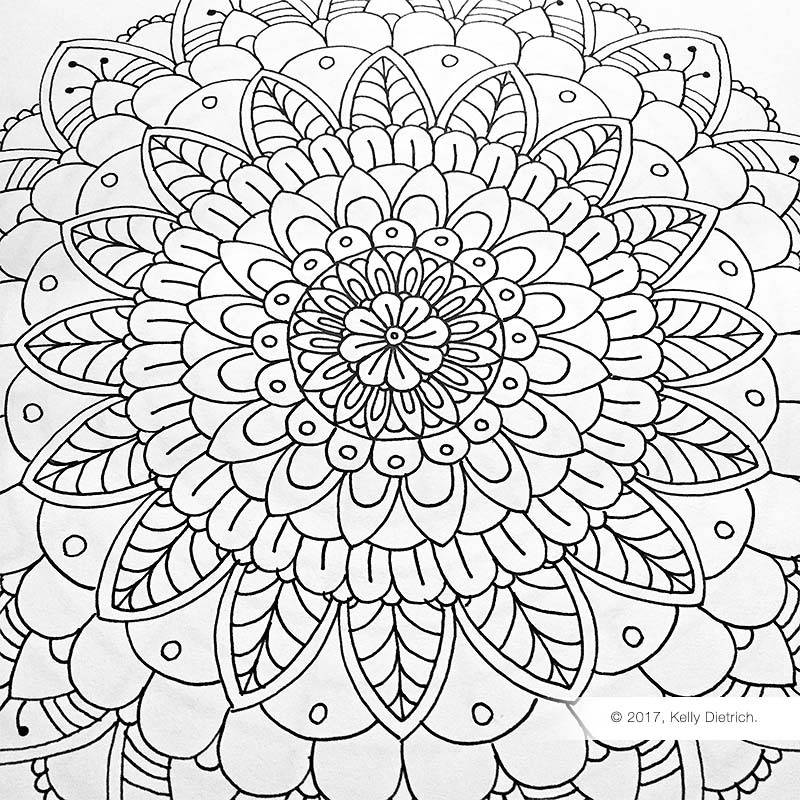 Now hand-drawing mandalas is easy! Rather than carrying a protractor, compass, and ruler with me all the time, I created this mandala template that I slip behind my drawing paper, and in the blink of an eye, I'm ready to start drawing my mandala without making any guidelines. Download, print, and get started!